iCurl is here! Inspired by the indispensible cURL utility, our engineers have created this iPhone app for in-house use, but also available to you for free download. Thanks for visiting Small Screen Systems, software design and integration consultants specializing in delivering Internet-connected solutions. We're bringing the web to the embedded world. We're up and running finally! Read about our story and contact us with any questions you may have. 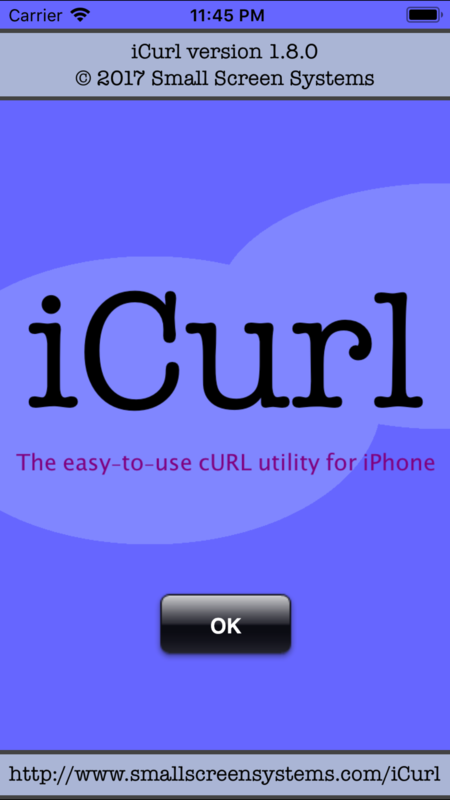 It's out: iCurl, our first free app. Just a little techie utility that shows what we can do.